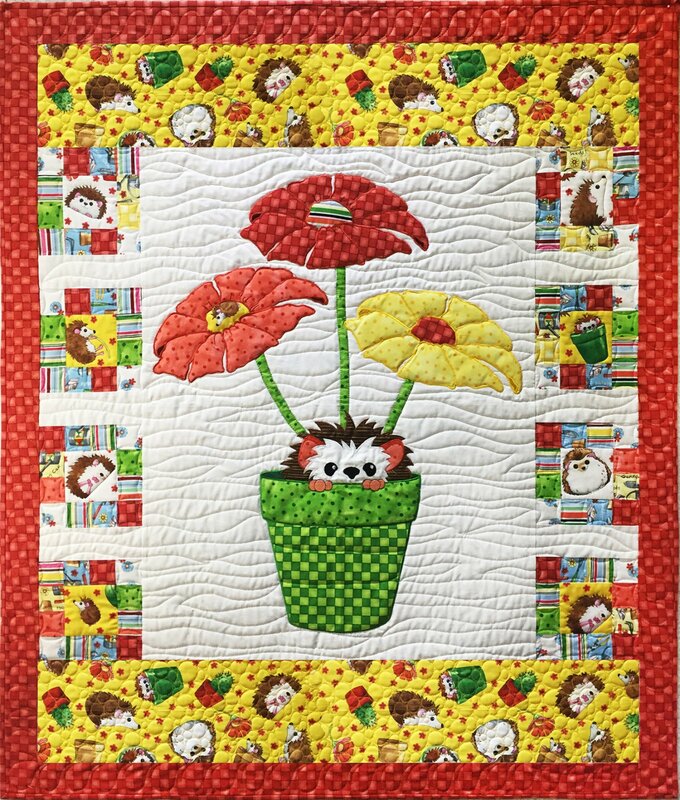 This quilt pattern calls for my newest fabric line called, Who let the Hogs Out, and features these adorable Hedgehogs. Inspired by the fabric and these cute critters Desiree has created two new patterns for your consideration. Blooming Hedgehog features one of the Hedgehogs in a flower pot. 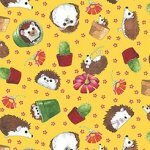 Easy to assemble and easy to follow directions with full size templates and diagrams help you create your own unique quilt for your Hedgehog Lover! Finishes at approx 39"x 46". Fabric is available now at your favorite quilt shop or on my website.